Etiological models of youth anxiety disorders have generally treated maternal psychological control (PC) and youth attentional processes as separate lines of inquiry. As a consequence, little is known about the interplay of PC and youth attentional processes as it relates to youth anxiety. The current study bridges these two lines of inquiry, and evaluates a conceptual model wherein youth threat-related attention bias and youth attentional control account for the relation between maternal PC and youth anxiety. Participants were 202 clinic-referred youths (M = 10.09 years; 54% male) and their mothers. The indirect association between maternal PC and youth anxiety via youth attentional control was statistically significant using youth ratings. The indirect association between maternal PC and youth anxiety via youth threat-related attention bias was statistically significant using mother ratings. 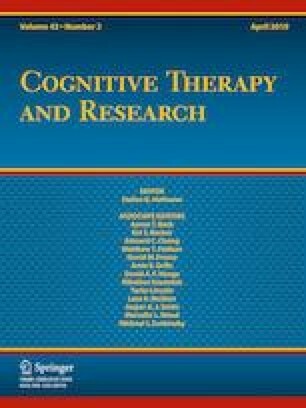 Findings from this study advance etiological models of youth anxiety, provide insight into threat-related attention bias and attentional control as potential mediators of the association between high maternal PC and youth anxiety, and suggest that targeting attentional processes could offer an additional treatment option for anxious youths whose parents are high in PC. Deepika Bose, Daniella Vaclavik, Victor Buitron, Yasmin Rey, Wendy K. Silverman, and Jeremy W. Pettit declare that they have no conflict of interest.